Nancy Furstinger is the author of nearly 100 novels and nonfiction books for middle grade and younger readers. Although many of them are about animals, she has also written about other cool subjects, such as deep-sea robots, transposing pianos, political cartoons, cities around the world, and historical figures. 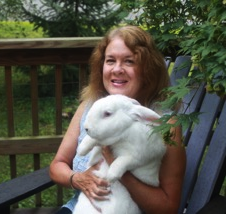 Active in animal rescue and protection programs, Nancy is also an accomplished nature photographer and a teacher about proper pet care. In this post, Nancy will share with Kidliterati readers the various ways in which she reaches her readers. Many of your books are written about your passion: animals both wild and tame. Please tell us what middle grade readers typically connect to the most with animals. NF: These readers really relate to reading about other kids their own age who have made a difference for animals. I love watching 4th graders’ faces light up when I read them “Maggie’s Second Chance: A Gentle Dog’s Rescue” and tell them that it’s based on a true story of 10-year-olds who started their own animal shelter. (To date they’ve saved more than 9,000 animals.) 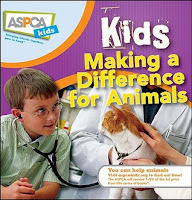 Kids also realize that their voices and actions can have powerful consequences when they read innovative ways that their peers are volunteering, as in my middle grade book “ASPCA Kids: Kids Making a Difference for Animals." You’ve made appearances at many animal-related events as a writer. What’s been the biggest (or funniest) challenge to reaching readers at these occasions? NF: I like interactive exercises to spur kids’ creativity, but time constraints can be a huge challenge. 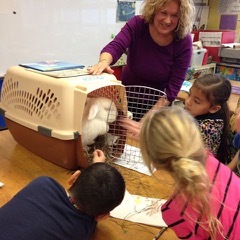 I came up with the idea of kids writing a blog entry using their pet’s voice and urged them to really get under their pet’s fur (or feathers or fins) to bring their pet to life. The funniest incident took place during a school visit when one teacher got into the act by creatively writing about his pet cockroach—really surprising, as he seemed to have such a dour personality! You worked as a managing editor for children’s books publishing companies, such as Simon Schuster and Troll Associates. What did this professional experience teach you about reaching a readership as a writer? NF: I’ve worked on hundreds of books (in my editorial jobs plus freelancing), and I believe that old adage about writing what you’re passionate about really resonates with readers. Some authors attempt to write commercial books that follow popular trends, which might not be so popular once they seek a publisher. The best books get kids excited about entering imaginary worlds or learning more about our amazing world. It’s important to also engage readers directly, such as asking questions about what they read and exploring their interests. And I can’t overemphasize how important it is to have stacks of kids’ books in accessible locations throughout your house, so they’re always reading! 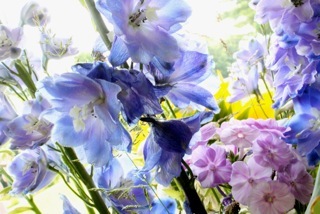 You are also a talented natural photographer. How often do you use your own work in your books, and how have young readers responded to your images? NF: Thank you! I have an upcoming trade non-fiction book that will feature some of my animal photography. All of my other books for trade contain illustrations from amazing artists. Alas, I cannot even draw a stick figure! Your calendar is filled with appearances at book festivals. How do you make your table enticing to attract potential readers? NF: Live animals! I had Jolly, the dog behind “Maggie’s Second Chance,” and Marshmallow, the rabbit behind “The Forgotten Rabbit,” accompany me to festivals and school visits. These days I tend to use hand puppets, handouts of animal literature, plus huge foam-core backed posters of book covers to attract attention. As a sneak preview for our readers, can you share any upcoming projects? NF: I’m awaiting the April pub date for two of my middle-grade books: “Paws of Courage: True Tales of Heroic Dogs that Protect and Serve” (National Geographic) and “Mercy: The Incredible Story of Henry Bergh, Founder of the ASPCA and Friend of Animals” (Houghton Mifflin Harcourt). And I'm about to announce via Publishers Weekly a new middle-grade book, also with HMH, but I can let you know it’s about (surprise) animals! Thanks for such an interesting interview, Nancy. We’ll keep an eye out for your upcoming books. Both sound very inspiring. All the best from Chris Brandon Whitaker! Thanks, Chris, I enjoyed being on the opposite side of the interview, answering your insightful questions! Thanks, Nancy, for sharing your wonderful stories and ideas with us! I enjoyed it very much. Love the pet blog idea! A pet cockroach? That's adventuresome. I think the pet cockroach was imaginary, but my brother inherited a pet tarantula named Boris when he moved into a rental house in LA! Can it be time for your household to get a new pet? Animals can bring joy and fun with a home, and many animals dog care are thus precious to their owners they are nearly considered a relation.